This study of Abraham’s life gives readers an in-depth glimpse into the life of Abraham, and shows them what genuine faith looks like for modern-day Christians. James Reapsome, author of Romans, is editor at large of Evangelical Missions Quarterly and an associate pastor of Western Springs Baptist Church in Western Springs, Illinois. He has written several Fisherman guides, including Abraham, Jeremiah, and Ezra and Nehemiah. 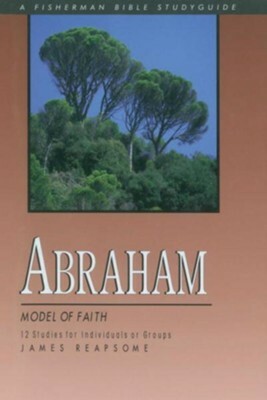 I'm the author/artist and I want to review Abraham: Model of Faith - eBook.